stretching my patience, but am still in love! So, the latest update to the black and red sixties statement piece. I have made a frustrating discovery. Despite choosing what looked like similar fabric I was deceived! In fact, they stretch at different rates. 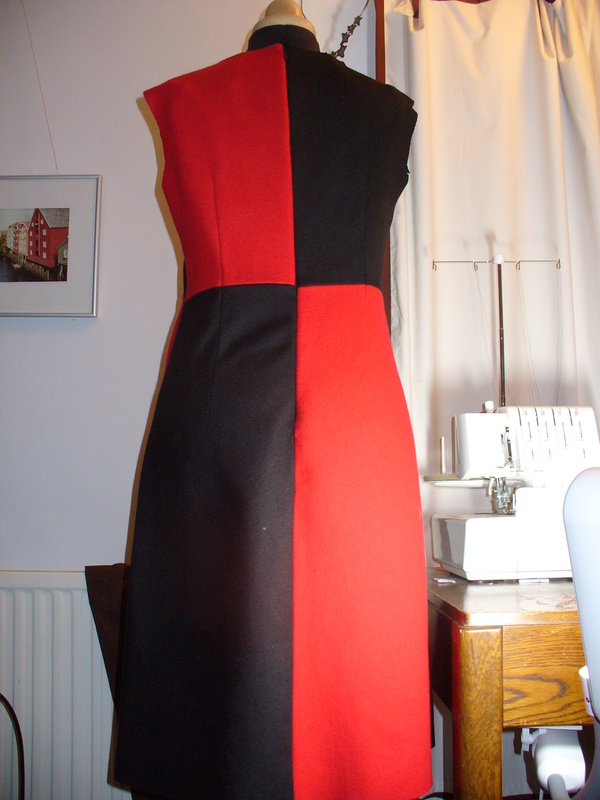 My first inkling of this was after I sewed my first seam. Despite careful pinning one side was about 1.5cm longer then the other. Every long seam there after attempted to mismatch. My stitch ripper saw lots of action before the seams finally matched up. Such was my determination to see the final result I stayed up a bit later than I should have last night resolute in my desire to see the final result. It did not disappoint! 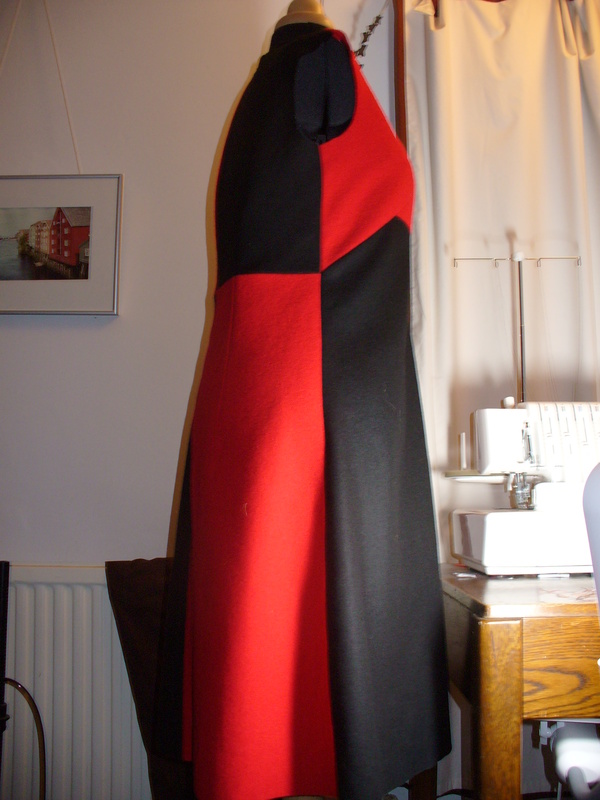 This still needs a lining, but you can really see what it’s going to be…. 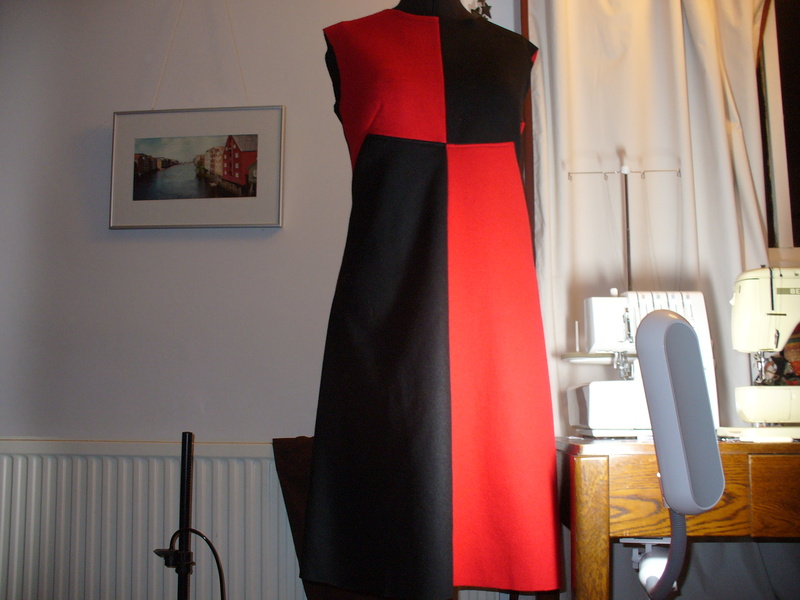 A few years ago I signed up for a year long beginner's dressmaking course. I have never looked back and am always thinking about my next project, hence the sew where next? name. This blog is to try and keep track of my trials, tribulations and hopefully successful projects. I love this dress. The color blocking looks fab! Please post a picture of you wearing it. I’m sure it’ll be smashing. thanks Naomi! I’m just working on finishing the matching jacket, then have to line everything. But I’ll certainly post more photos of me in the final product. no sweat – some easy projects!